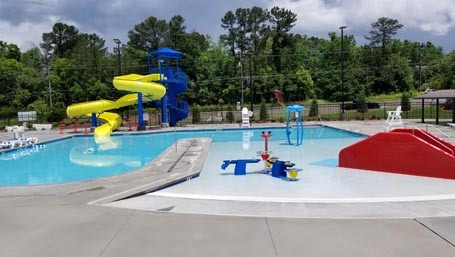 In May 2018 the City of Alpharetta celebrated the grand opening of the brand-new Wills Park Pool complex, which replaced the pool originally constructed in 1987. 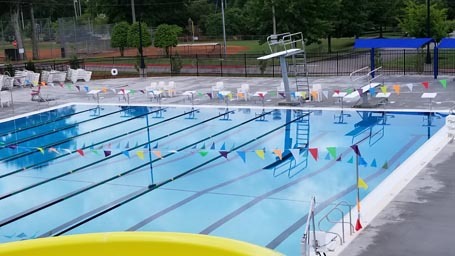 One goal for reconstruction was to make the pool more child-friendly, which led to a separate leisure pool with zero-depth entry and several water park features. Two pools replaced the previous Olympic-sized pool to provide aquatic recreation for all age groups. The 46,000 sq. ft. facility, which broke ground in August 2017, consists of a 6,000 sq. ft. pool house, a competition pool with diving boards, a leisure pool, and the addition of shade pavilions and other amenities. 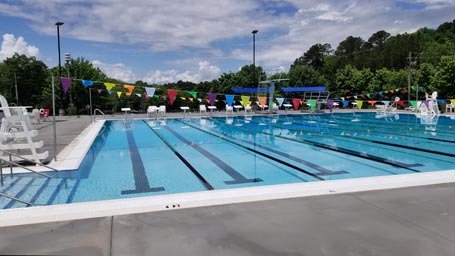 Depths ranging from 4 ft. to 12.5 ft.
New amenities also included updating the locker rooms, additional deck space, and a renovated pool house. 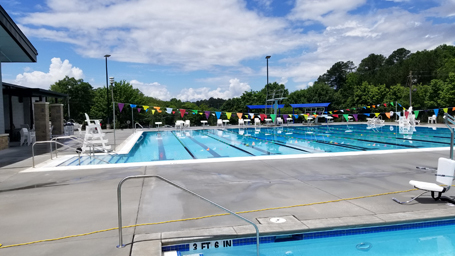 Updates to the pool house included the addition of training rooms for lifeguards and staff and renovated shower facilities. The renovation had been approved as part of the city’s capital budget, as well as the $52 million parks and transportation bond issue approved by voters in 2016.